Like many others I became acquainted with the music of keyboardist and vocalist Dave Lawson with the release of the debut Greenslade album in 1973. A dual keyboard led quartet, the band also included Dave Greenslade, Tony Reeves and Andrew McCulloch. Whilst I was aware of his colleagues pedigree having come by way of bands like Colosseum and King Crimson, I was unfamiliar with Lawsons background. 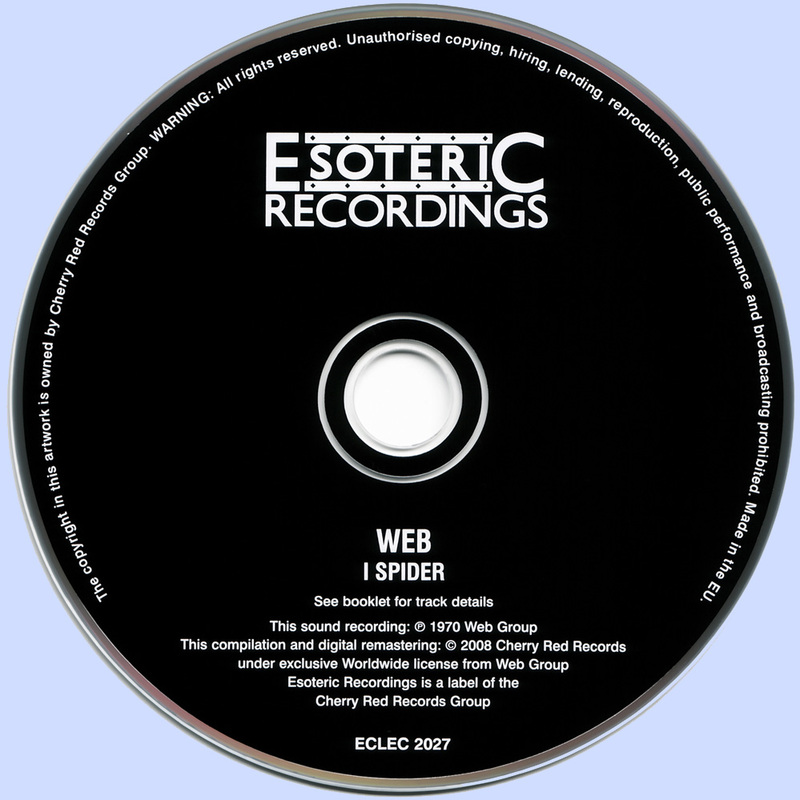 Thanks to Esoteric and the re-release of this 1970 album from Web and the 1971 Samurai set (see review below) which followed, my education is now complete in that department. As with all of Esoterics retrospective releases this album has been lovingly remastered, on this occasion by Lawson himself. They nail their new colours to the mast by opening the album with Concerto For Bedsprings, a ten minute opus in five contrasting parts. I Cant Sleep is a suitably strident and atmospheric introduction with heavy sax and organ underpinning the imposing vocal which is unmistakably Lawson. A spooky repeated organ motif rather like the vintage Twilight Zone TV theme leads into Sack Song a melodic jazzy instrumental with buoyant piano and sax. In keeping with its title Peaceful Sleep finds the band in gentle mode with a plaintive vocal resting on a light piano, flute and sax backing. In contrast the up-tempo You Can Keep The Good Life has an aggressive edge aided by a pounding piano riff. During the stark chorus Lawsons voice it at its most strained and in my opinion least appealing. A strong sax solo continues the mood although its a tad overlong and begins to drag long before it ends. Loner returns briefly to the earlier mood to provide a peaceful close. The title track I Spider is another lengthy piece although with less contrast in mood than its predecessor. Slow and moody for the most part it has a thoughtful vocal with a delicate organ backing and a spiralling sax motif. The edgy guitar punctuations sound very Peter Banks ala Yes version of Everydays from Time And A Word released the same year. A soaring sax break proves to be the most uplifting part. Love You opens with the rare use (for Lawson) of Mellotron with acoustic guitar and a reflective vocal which is Lawson sounding at his best. The mood and tempo abruptly changes as menacing sounding sax and guitar erupt. Mellotron and tympani are used to good effect here to sustain an air of tension and the whole thing reminded me of Van Der Graaf Generator. A heavy and bluesy guitar solo rounds off what is thus far for me the albums best song. The curiously titled Ymphasomniac is an urgent sax led instrumental with a thumping piano backing. The eerie underscoring of Mellotron and the busy drum work is strongly reminiscent of early King Crimson. A lengthy percussion only section gives both drummers a chance to hit everything in sight before building into a bombastic piano, organ and sax coda driven by monumental drumming. Although the coda feels somewhat over extended its a cracking instrumental nonetheless. Always I Wait is an OK closer but is about three minutes longer than it needs to be. The trebly staccato guitar punctuations have a Hendrix influence whilst Lawson sings impossibly high joined by restless sax and organ. A fuzzed organ solo brought back memories of Tony Kayes work in Yes mark 1 whilst the vocals here sound very like Andy Tillison at times. With the original album clocking in at less than forty minutes, which was about average for the time, two bonus tracks have been included. Both were recorded live in 1971 in Sweden, a country where the band seemed to find particular favour. As live recordings go they are both excellent in terms of clarity and musicianship. Here the instruments seem more pronounced in Concerto For Bedsprings. This is especially true of bass and organ which when combined with sax recalls the Mike Ratledge and Elton Dean partnership from Soft Machine. Love You skips the mellow intro of the studio version and compensates with an extended and excellent guitar solo. Its supported by animated organ playing and together they build to a potent climax. Superb stuff making both tracks an essential addition. 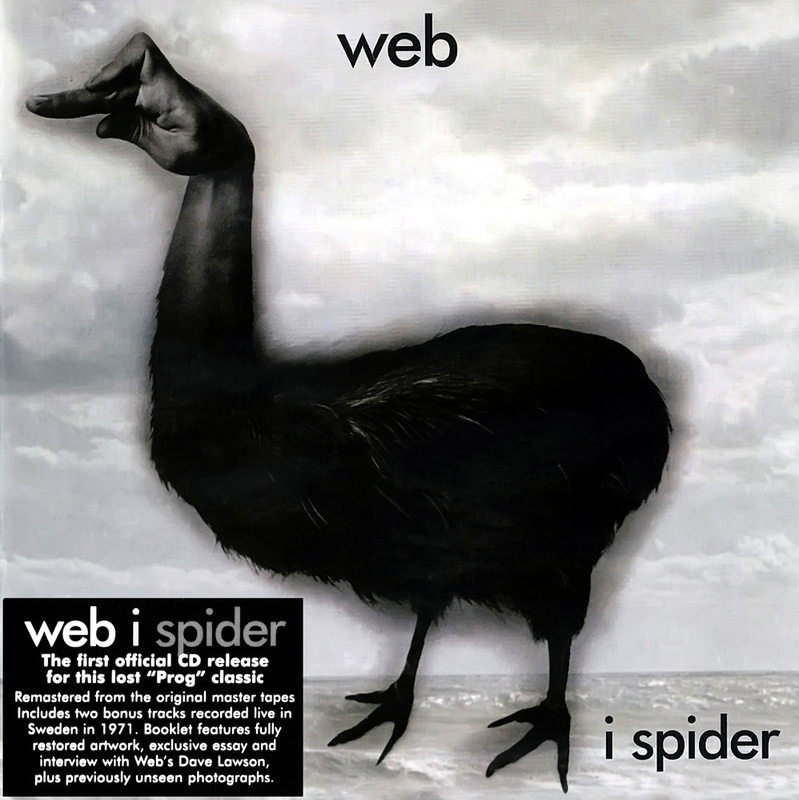 Following the albums release and a string of live dates supporting the likes of Yes, Hawkwind and Manfred Mann, Web decided to call it a day. This was prompted by a lack of finance and also frustration over their name constantly being misspelt on billings. They didnt so much disband however as evolve into the band Samurai. 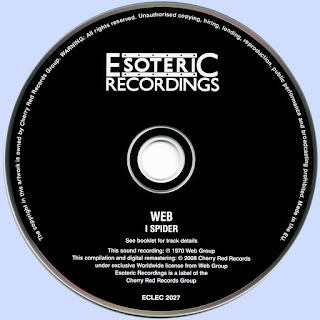 With I Spider they have left behind a worthy legacy and its not hard to see why Esoteric decided to give it a new lease of life. If youre familiar with Greenslade then you will appreciate that Lawsons vocals are an acquired taste, sitting somewhere between Andy Tillison and Patrik Lundstrom. Stylistically the music occupies the same area as Soft Machine, Colosseum, King Crimson and Van Der Graaf Generator from the same era with overtones of the Canterbury style. Well worth a dabble especially for those that recall early 70s UK prog-jazz with affection.